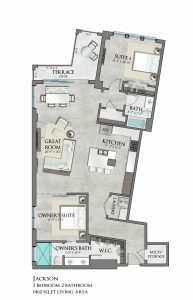 The Place on First, a new mixed-use building coming to the historic downtown Fort Myers River District, has announced the addition of a studio apartment floor plan, The Lee, to its lineup of luxury residences, as well as a redesign of another floor plan, The Jackson. Reservations are currently being accepted for the 15 one-, two- and three-bedroom residences available at The Place on First, which will be located on the corner of First and Jackson streets in the heart of downtown Fort Myers. The Lee studio apartment offers a lofty urban vibe, kindred to that of New York City. This one-bedroom, one-bath residence features an open living area with a west-facing terrace overlooking Jackson Street, sitting high above the surrounding landscape for residents to enjoy Southwest Florida’s infamous sunsets, yet close enough to catch a glimpse of the vibrant culture of downtown Fort Myers below. A full kitchen, walk-in closet and utility room complete the space. The chic simplicity of the space aligns with the unique design aesthetic of The Place on First. The Place on First’s newest 842-square-foot floor plan will start from the $200’s. The Jackson is a revolutionary, 1,462-square-foot urban living space offering a presidential two-bedroom, two-bath design with a foyer, a west-facing balcony that also offers stunning sunset and surrounding city views, and a great room-style kitchen and living area, complete with a laundry room and pantry. Urban style elements throughout the home, such as a brick accent wall and cove lighting are a part of the building’s unique design aesthetic. The owner’s’ suite features a large walk-in closet and full bath, and the guest suite overlooking Jackson Street offers a great view of the surrounding city. 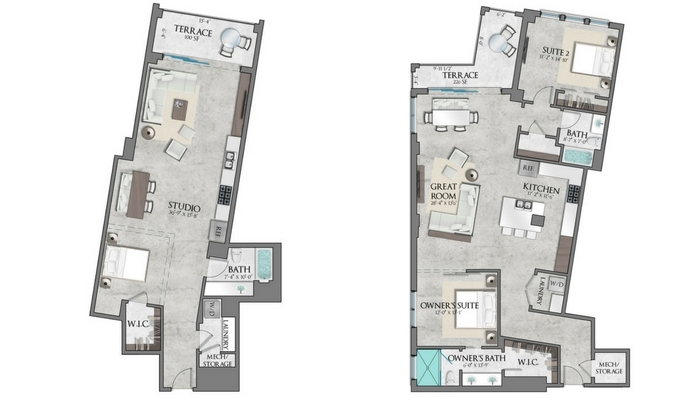 The Jackson floor plan will start from the $300’s. In addition to multiple restaurant and retail destinations and three floors of Class A office space, The Place on First also has a select few homes available on the building’s private residential floors, levels 6-8, which are accessible by elevator or stairs. The urban design features 15 residences, priced from the $200’s to $800’s. 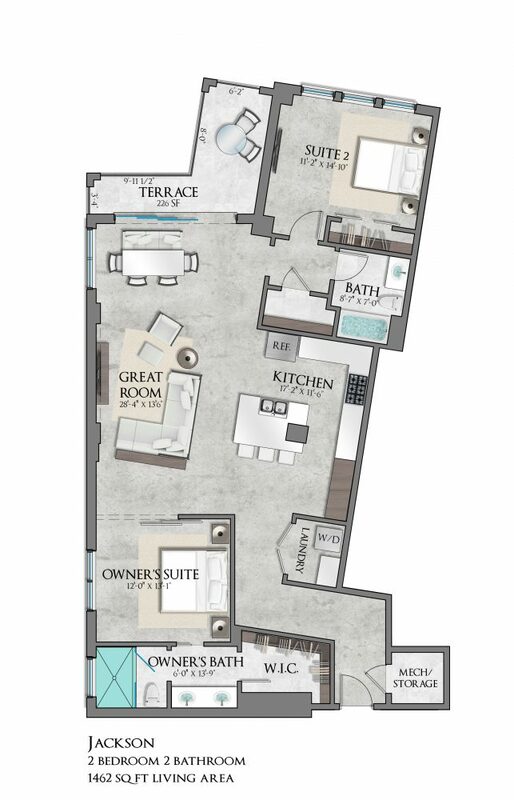 Five unique floor plans, including The Lee, The Edison, The Heitman, The Jackson and The McGregor, range from 842 to 2,305 square feet, and feature polished concrete floors, open-air city view terraces, and large, open-concept great rooms with 10-foot ceilings. Luxury features include a ninth-floor Sky Terrace with outdoor grill and river views, a fitness studio, bicycle storeage, on-site restaurant, state-of-the-art entry access for privacy of residential floors, and proximity to dining, entertainment and more. 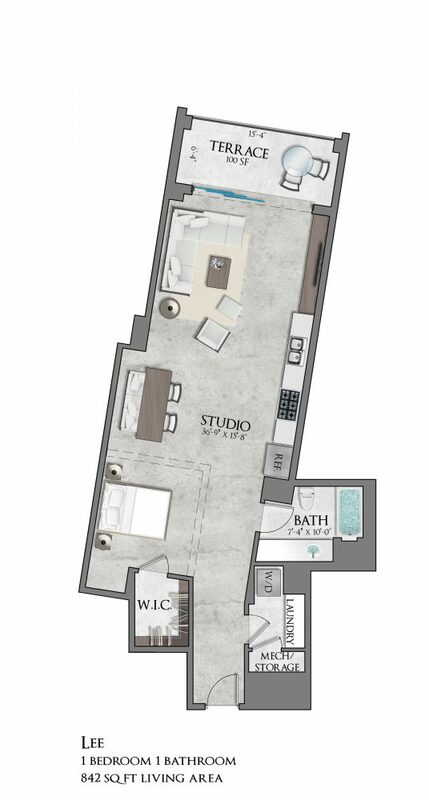 To learn more about the variety of floor plans available at The Place on First, visit the building’s preview studio, located at 2275 Main St. in Fort Myers, call 239-336-5555.